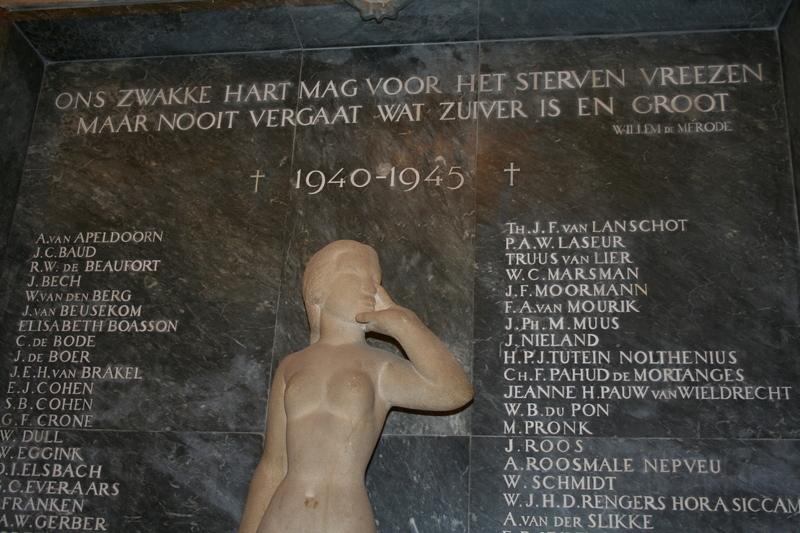 The following are photos of memorials to members of the Smit-Van der Heijden Line who were victims of the Nazis. 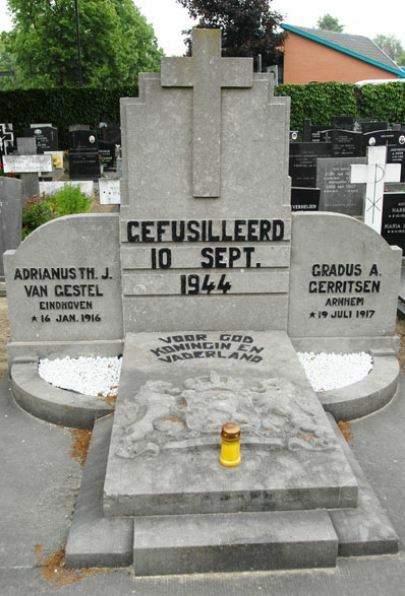 Below: Memorial Honoring Maria Cornelissen-Verhoeven, Geert Gerritsen, and Adrian van Gestel. 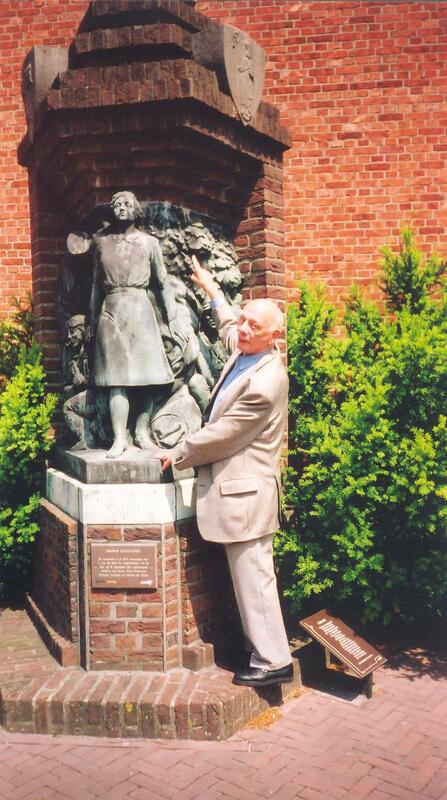 (Photo taken in 2002 by Bruce Bolinger showing Karst Smit pointing to where his face was to have been on the memorial. When it was learned he was alive, ivy leaves were substituted.) For more views of the memorial, click here. Maria Cornelissen-Verhoeven was running a separate escape line from that of Karst Smit and Eugene van der Heijden. Gerritsen and van Gestel joined it after the destruction of the Smit-Van der Heijden Line. 5. Theo Vogels and Staf van der Heijden. 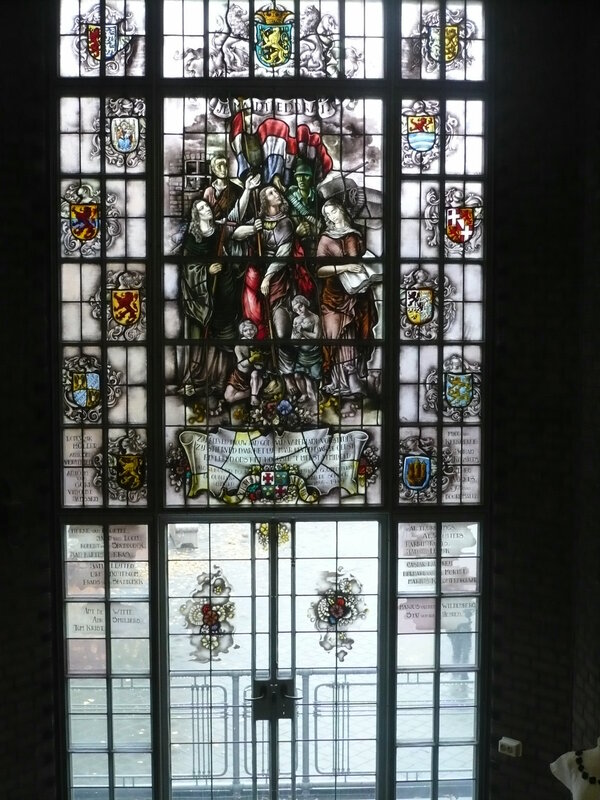 My thanks to Mr. Gérard de Laat, retired teacher of the St. Odulphuslyceum, Tilburg, who provided the following memorial window honoring the memory of 27 former students who died as soldiers or who were active in the Resistance during WWII. 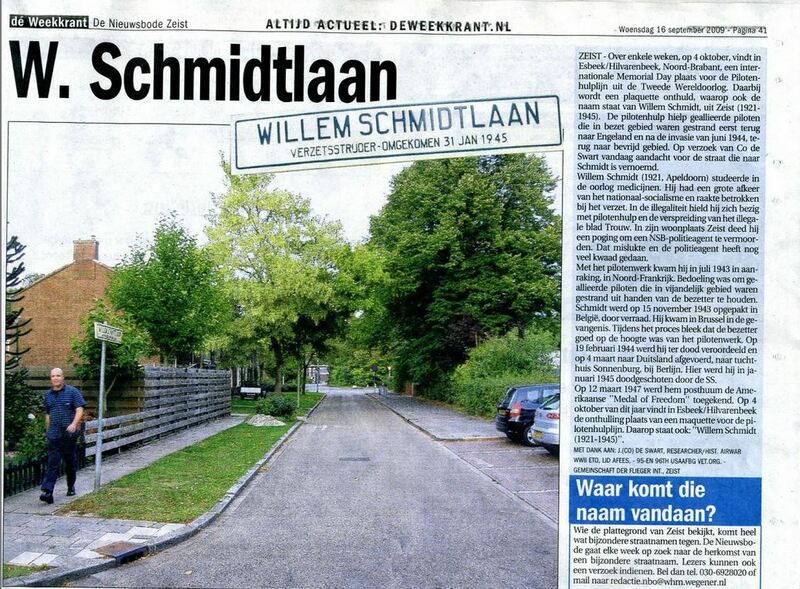 Among the names are those of Theo Vogels and Staf van der Heijden. 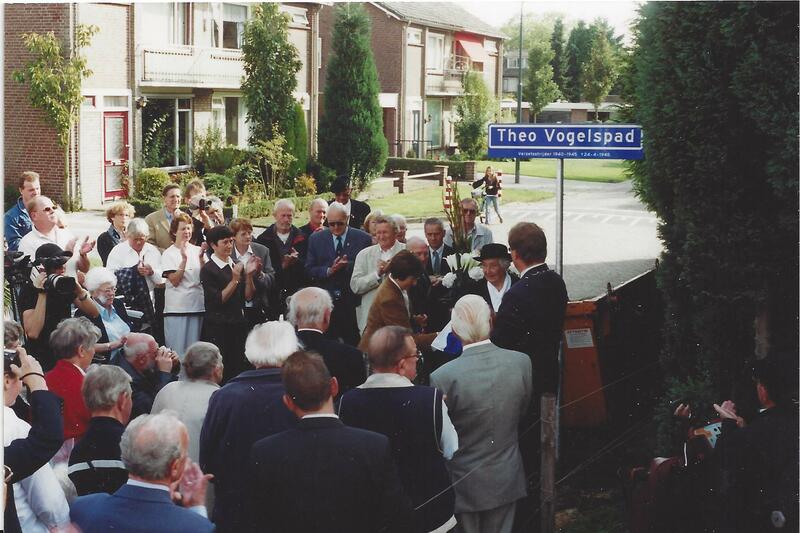 Theo Vogels’ name appears in the panel to the right of the scroll. 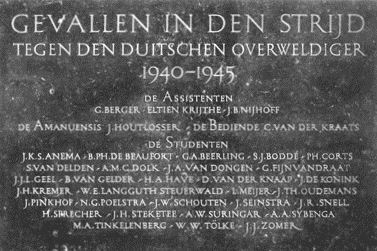 Staf van der Heijden’s name is in the panel below that. Among the symbols are those of war and peace as well as the arms of The Netherlands, the provinces, and of Tilburg. The golden lion on a black background represents the arms of the province of North-Brabant, while the three towers are the arms of Tilburg. 7. 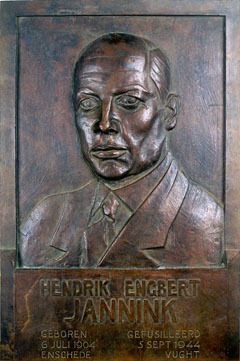 Ernest van Moorleghem, Brussels. 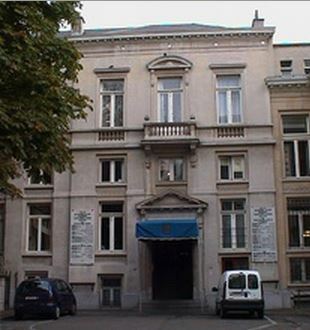 The following two photos show the Hotel de Ville in Ixelles, Brussels, Belgium and the plaque on the front of the building honoring Ixelles personnel who died opposing the Germans. 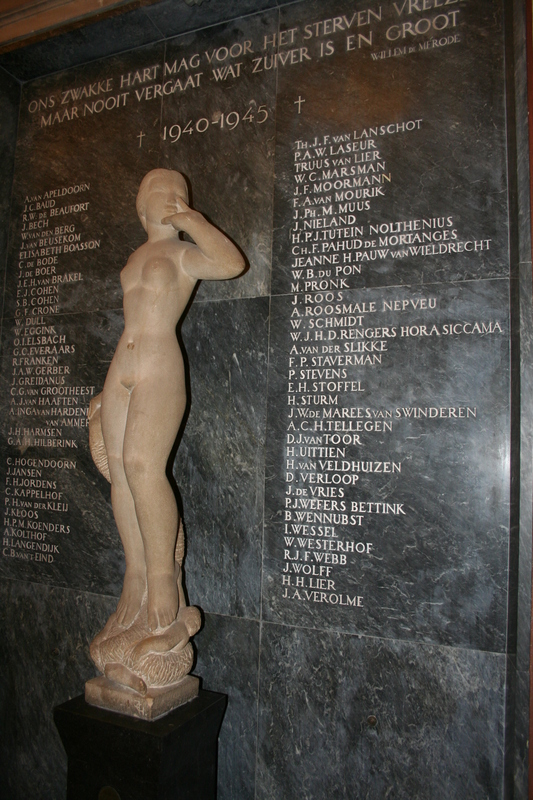 Van Moorleghem is shown among those executed by the enemy. 8. 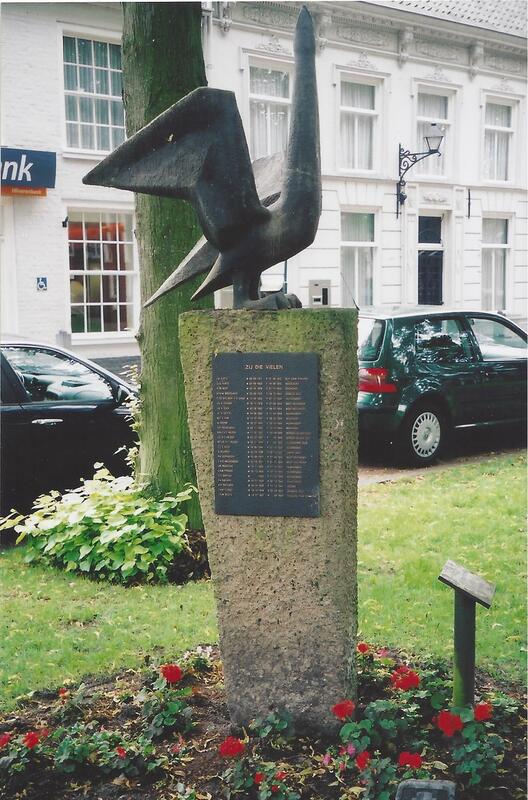 Hilvarenbeek Town Square Memorial. 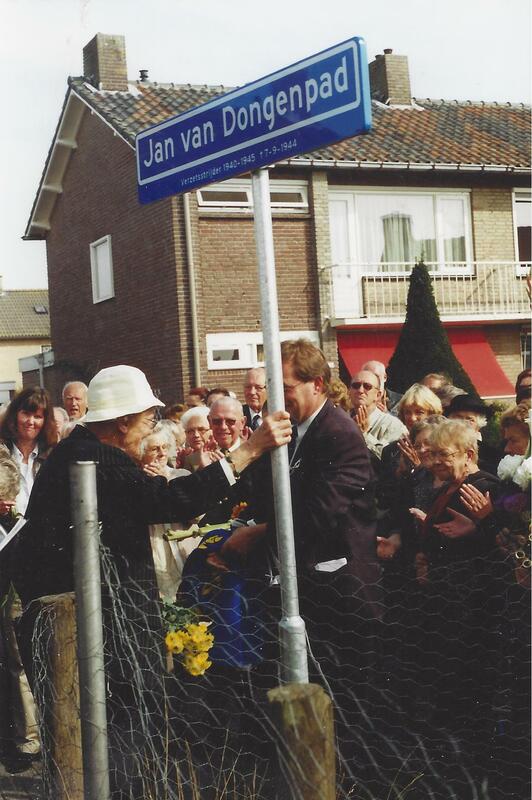 The following photo shows the memorial to those from Hilvarenbeek who died as a result of World War II and other conflicts. Following it is an enlargement showing the names on the memorial. A typed list follows that. 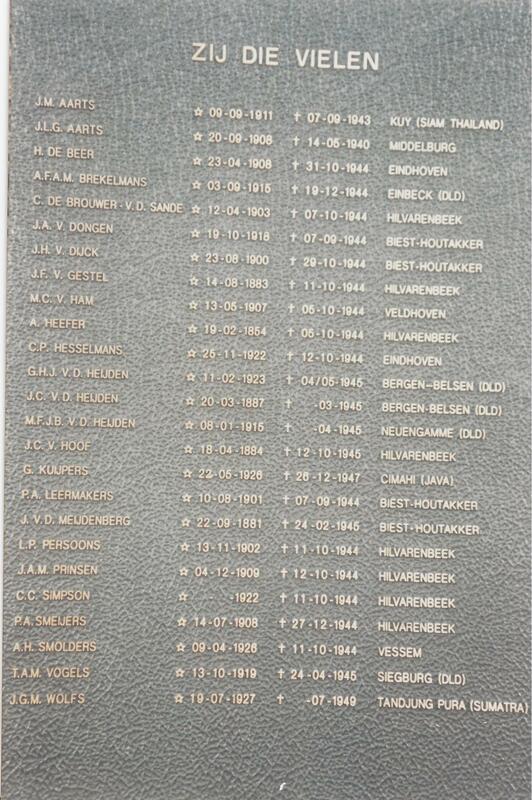 List of names on the memorial in the Hilvarenbeek Town Square with dates of birth, death, and place of death.